I have some great products to share with you from coolpencilcase.com. 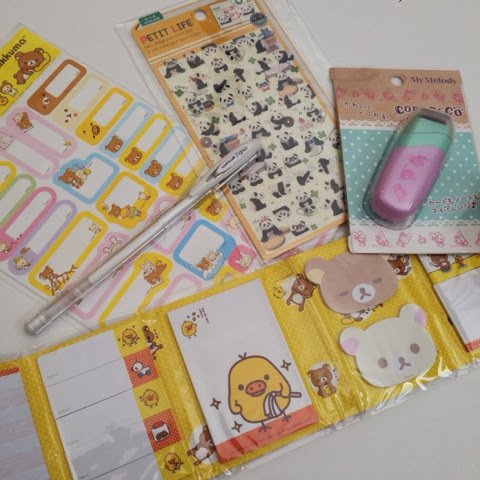 They are a great company who supplies great, fun, affordable stationery items from stylish pencil cases, to cute pen and pencils, and other fun writing utensils. It's not like you're usual office supply store. They have hard to find products available here in the U.S.! At coolpencilcase.com they believe that "Encouraging your child to practice their writing skills is one of the best gifts a parent can give, and there’s nothing like a cool pencil case full of cool pencils, erasers and accessories to excite their imagination and ignite their creative and linguistic passions!" As a parent myself, it's great to see a company like this who likes to motivate parents and their children to use products which will motivate them to write and motivate them to be organized. As a kid, I remember growing up in awe of who had the latest and greatest pencil case. Some were fancy with hidden compartments for paperclips, erasers, or a pencil sharpener. My daughter now has her own cute pencil case which room moms tell me they are amazed at how organized she keeps it. Kids take pride in their belongings. I feel that it helps build their character and confidence. My daughter is very creative and loves to draw and write. Even moms like me can enjoy these products, which I personally use in my Filofax. This is why cute stationery items are a must, it boost my own creativity and helps me stay organized in my life. Also, make sure to check out their DEAL OF THE DAY! *This post is brought to you in collaboration with CoolPencilCase.com. All content, ideas, and words are 100% my own, unless otherwise stated.